A few years ago, my son received a microscope for his birthday. We put everything we could think of on those little glass slides — blades of grass, dog hair, even a drop of saliva — so we could peek at the inner workings. But the most fascinating, by far, was yogurt. Just one little dab of the stuff revealed hundreds of tiny quivering, living organisms. Sound gross? I’ve got news for you. Lots of foods you eat are alive. Yogurt is the most common, but buttermilk, ice cream, juice, cheese, granola bars, cereals, baby formula, and even pizza can now contain probiotics, also known as the “good” bacteria that my son and I saw under the microscope. While scouring the grocery store shelves, you’ve probably noticed all the new probiotics products being marketed to kids, along with claims about what each can do: Improves immunity! Prevents diarrhea! Helps calm colic! In fact, the widely accepted definition of probiotics is “live microorganisms, which, when administered in adequate amounts, confer a health benefit on the host.” And as you’ll see, there is evidence that probiotics can play a role in improving colic, eczema, and intestinal problems. But can they really make your child healthier? 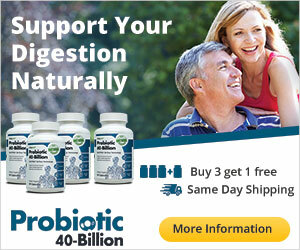 That’s the $2 billion question, the amount the U.S. probiotic market is projected to be worth in 2013. If you nurse, you help your baby build up more good bacteria, because breast milk contains substances known as prebiotics that promote the growth of healthy bugs. They supply nutrients to the living bacteria and enhance their ability to survive and thrive in your child’s gut. “By shaping the content of an infant’s gastrointestinal tract, breast milk also helps ‘educate’ the developing immune system,” says David Mills, Ph.D., a University of California, Davis microbiologist. (Prebiotics are also found in high-fiber foods like whole grains, fruits, and vegetables.) Once your child weans and starts on solid foods, his gut microflora will change, and then remain pretty much constant throughout his or her lifetime. But there are outside forces that may throw off the balance. Antibiotics, for instance, can kill both bad and good bacteria in your child’s gut flora — and that can lead to gastrointestinal distress. “About 20 to 30 percent of kids develop diarrhea when they take antibiotics,” says Daniel Merenstein, M.D., director of research in the department of family medicine at Georgetown University Medical Center, in Washington, D.C. Various diseases, too, can disturb this otherwise fixed amount of microflora. Some research has shown that consuming probiotics through foods or supplements can positively affect your child’s balance of bacteria, and consequently, his health. We talked to the top probiotic researchers to find out more, and this is what we learned. Interestingly, your child’s GI tract is as unique to him as his fingerprints are. Each child (and adult) has trillions of different microbes living in him, and no two kids have the same mix of bacteria. Two of the most common categories of beneficial bacteria that naturally occur in our body are called Lactobacillus and Bifidobacterium, and it is generally these healthy bugs that food manufacturers use in their products. The marketplace is rife with specific strains of each of these bacterial groups (such as Lactobacillus rhamnosus GG, Lactobacillus reuteri, and Bifidobacterium lactis). “Like antibiotics, probiotics are confusing to people because each one is different,” says Dr. Merenstein. The antibiotic that will treat your child’s ear infection won’t necessarily treat her pneumonia. The same holds true for probiotics — one strain does not prevent or treat all ailments. And it’s not just the strain that’s important, but the dose. Some food product labels list strain names along with the amount of live bacteria, usually cited on labels exponentially as 109 (1 billion) or 1010 (10 billion) CFUs (colony forming units). However, many products don’t provide this information, so you may need to contact the company or visit its Website to get the info. As of now, there just aren’t a lot of good studies showing that food products actually deliver their proposed benefits. Some experts believe that the best type of research involves a specific product rather than a particular probiotic strain. These kinds of studies are the only way to determine how many probiotic bacteria remain alive and kicking in the food after travel and shelf time. “Without them, we really don’t know how well — or how many — live bacteria survive in products by the time they’re eaten,” says Dr. Merenstein. (Supplements, on the other hand, are usually freeze-dried and packaged so that they retain their bacteria.) Baby formulas containing probiotics also need to be studied more before they can be recommended, say experts. Whatever the benefit, it’s important to note that probiotics’ infection-fighting effects are only temporary. 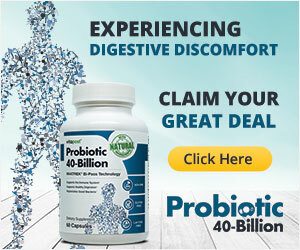 This is because the probiotics don’t build up in your child’s gastrointestinal system. “Once you stop taking any probiotic, whether it’s in food or in medicinal form, it disappears from the GI tract and your microflora levels return to what they were,” says Frank R. Greer, M.D., professor of pediatrics at the University of Wisconsin, Madison, and a coauthor of the American Academy of Pediatrics’ (AAP) report on probiotics, due out this fall. 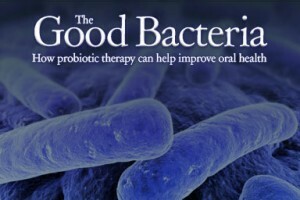 “With probiotic foods, the marketing hype is way ahead of the science,” says Dr. Greer. But we do know that the best sources of friendly bacteria are dairy foods such as yogurt, kefir (which is similar to yogurt), and aged cheeses such as cheddar and gouda. These foods also are all heavy in vital nutrients like protein, calcium, and, in some cases, vitamin D, which are more reasons they’re smart food choices. And evidence has shown that the live cultures in yogurt can help kids (and adults) who have a lactose intolerance, which makes it hard for them to digest lactose, the natural sugar in milk. Regardless, when you’re shopping for yogurt, look for the Live & Active Cultures Seal, which was developed by the National Yogurt Association to identify a product that in theory will impart the most health benefits. Keep in mind that the shortage of scientific studies on food products doesn’t necessarily mean that these items aren’t effective. Some of the foods that do contain a probiotic punch of at least 1 billion CFUs include Activia yogurt, Attune nutrition bars, GoodBelly fruit drinks, Yakult cultured milk drink, and Yo-Plus yogurt. They’re also safe for young children, says Dr. Merenstein. But whether these foods actually live up to such claims as regulating the digestive system, preventing diarrhea, or enhancing overall immunity in kids still remains to be seen. Colic: A study published in Pediatrics in 2007 found that colicky infants who took Lactobacillus reuteri Protectis, the strain found in BioGaia probiotic drops, saw results within one week. On the fourth week, the babies were crying for only 51 minutes a day, compared with 145 minutes for the infants who were given simethicone, the active ingredient in many OTC anti-gas products. “These results were startling, and we need more research,” says Dr. Merenstein. Diarrhea: “Probiotics can’t make tummy troubles go away, but it’s possible that they may reduce diarrhea by one day and make the symptoms less severe,” explains Dr. Thomas. The probiotic group Lactobacillus was found to be safe and effective in treating infectious diarrhea in children, according to a study in Pediatrics. The strains Lactobacillus rhamnosus GG (aka LGG) and Saccharomyces boulardi have both been successful in treating antibiotic-associated diarrhea, found a 2007 review of ten randomized controlled trials. You’ll find these strains in therapeutic doses in over-the-counter supplements like Culturelle for Kids and Florastor Kid. Both come in packet-size servings that you can mix into your child’s cold foods or drinks. Intestinal problems: Ask your pediatrician about probiotics if your child has a chronic condition like irritable bowel syndrome or an inflammatory bowel disease such as ulcerative colitis or Crohn’s disease. Several studies have shown that the probiotic strains found in the supplements VSL#3 and Align (both in capsule form) may reduce the severity of kids’ abdominal pain, bloating, cramping, gas, and/or diarrhea. And new research from Italy found that constipated babies who were given L. reuteri had more frequent bowel movements after two weeks than those who were given a placebo. he bottom line: Probiotics are considered safe for healthy children. And while more research is needed before doctors can begin prescribing probiotics for specific childhood illnesses (as they do with antibiotics), it’s certainly worth discussing the idea with your pediatrician. We asked Chicago dietitian Victoria Shanta Retelny, R.D., to create simple menu items that mix probiotic-filled yogurt with foods rich in prebiotics, such as fruits, veggies, and grains. Strawberry Smoothie: Blend ½ cup each of milk, frozen berries, and plain low-fat yogurt in a blender. Pour into a glass and top with Cheerios for a prebiotic crunch. Toasty Breakfast: Spread a toasted whole-wheat English muffin with your child’s favorite low-fat yogurt; then top with thinly sliced bananas. Chicken Salad Sammie: Mix cut-up chicken breast with a bit of mayo, plain low-fat yogurt, and diced celery; spread onto whole-grain toast. Savory Yogurt Dip: Combine 1 cup plain low-fat yogurt, 1 minced small cucumber, 1 teaspoon chopped fresh dill, and a pinch of salt.